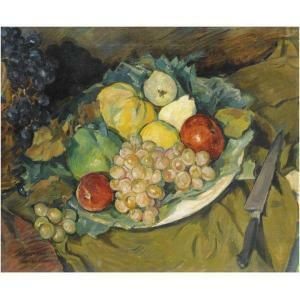 Find artworks, auction results, sale prices and pictures of Alexei Konstantinovich Korovin at auctions worldwide. 53.5 by 64.4cm, 21 by 25 1/4 in. signed in Latin, inscribed Paris and indistinctly dated l.l. 41. 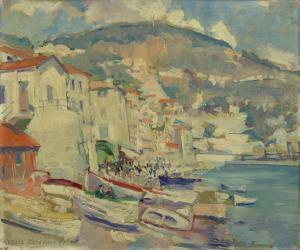 KOROVIN, ALEXEI (1897–1950) Mediterranean Town, signed and dated 1924. 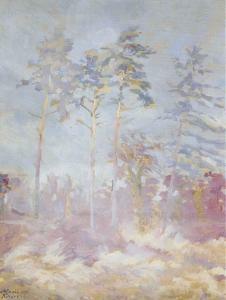 Oil on paper, laid on cardboard, 32 by 38 cm. Alexei Konstantinovich Korovin (1897-1950). 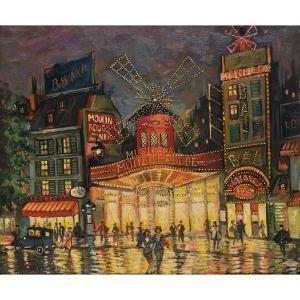 Le moulin rouge. 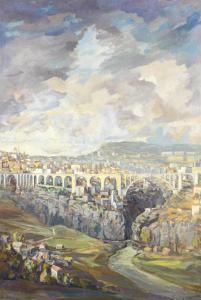 Oil on canvas; signed lower right. 18 1/8 x 21 5/8 in.